Marshall Squier and Julie Newirth Redington play Mr. and Mrs. Webb. Emma Luikart, Molly Luikart, Sam Filloramo and Chris Larson round out the compelling cast. Tickets are $20 for adults and $10 for students, AVAILABLE AT THE DOOR. 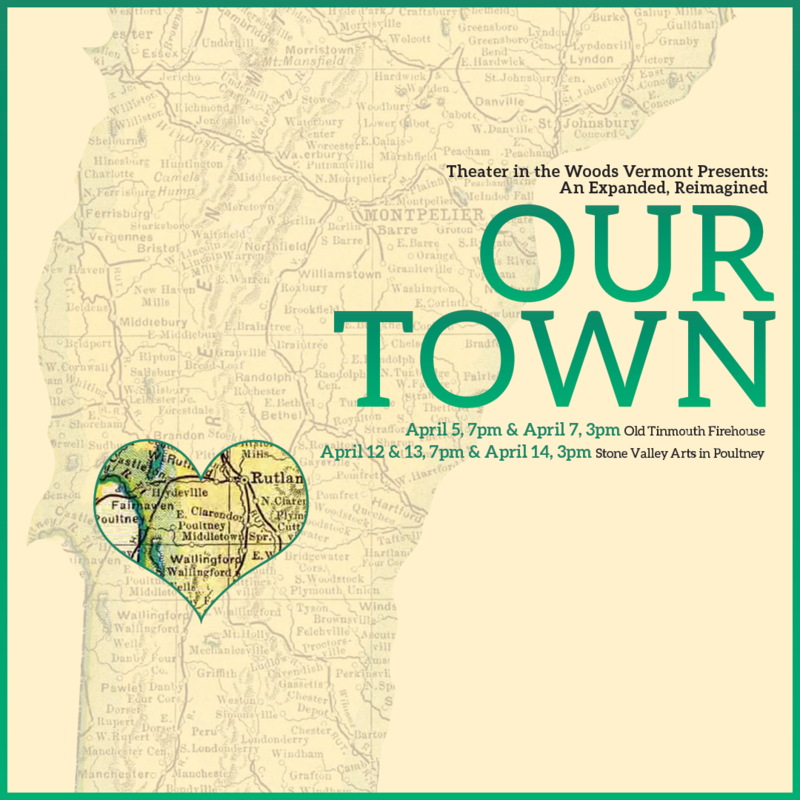 ​The proceeds support Theater in the Woods' scholarship fund. ​​ but to give yourself the gift of this timeless masterpiece! CALL 235-2050 for more information. ​or call Melissa at 802-235-2050.